As a facial feature that sits front and center, any bump, misalignment, or other flaw in your nose can dramatically decrease your self-confidence. And because you need your nose to breathe, any diminished functionality can be terribly uncomfortable and even detrimental to your health. Rhinoplasty is no longer just a cosmetic surgery. Sinusitis, nasal turbinate hypertrophy, and nasal septum deviation can also be fixed at the same time aesthetic improvements are made. At TL Plastic Surgery Korea, 3D CT analysis is used for personalized rhinoplasty for both aesthetic and functional adjustment. 3D CT analysis is a great tool for examining the nasal structure from both an aesthetic and functional standpoint to prevent nerve damage and minimize side effects. The precise size and shape of the septal cartilage can be examined with detailed analysis via 3D CT. Nasal bone osteotomy can be advised along with rhinoplasty if the nasal bone itself is wide or hump reduction is needed. Sinusitis is an inflammation or swelling of the tissue lining the sinuses. Healthy sinuses are filled with air. But when they become blocked and filled with fluid, germs can grow and cause an infection. 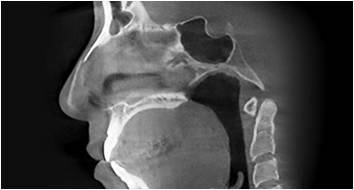 Chronic sinusitis may be caused by obstruction of the sinus opening by a severely deviated septum, and once that deviation is corrected as part of a rhinoplasty, the sinusitis will improve. In the case of biological septum deviation or asymmetry, crooked nose correction improves not only the outer appearance but also breathing or snoring problems. Septoplasty is performed along with rhinoplasty either for the septum to be removed or reshaped to make the breathing passages more open. Nasal congestion is blockage of the nasal passages, usually due to membranes lining the nose becoming swollen from inflamed blood vessels. It is also known as nasal blockage, nasal obstruction, blocked nose, stuffy nose, or plugged nose. Large nasal concha can be the cause of nasal congestion. This can be fixed by rhinoplasty. Doctors Kim and Choi, having fifteen years of accident-free experience in rhinoplasty, promise zero ghost doctors and safety-first operation for the most satisfactory results. For more about 3D rhinoplasty, contact us today.